Evainfruit-BIO is an organic fertilizer in powder form obtained through a process of transformation and stabilization of renewable organic matrices. The final product is well balanced and hygienically safe and it is used for both conventional and organic agriculture. It has many benefits, both at an agronomic and environmental level. Firstly, it improves the productivity and malleability of the soil. Secondly, it leads to an increase of the soil fertility by providing organic matter, nutrients (N, P, K), meso and micronutrients useful to plant life. Thirdly, it fights the onset of root rots and plants collar. Finally, it increases water retention, aeration and permeability of the soil, improving the ability to absorb and release water. 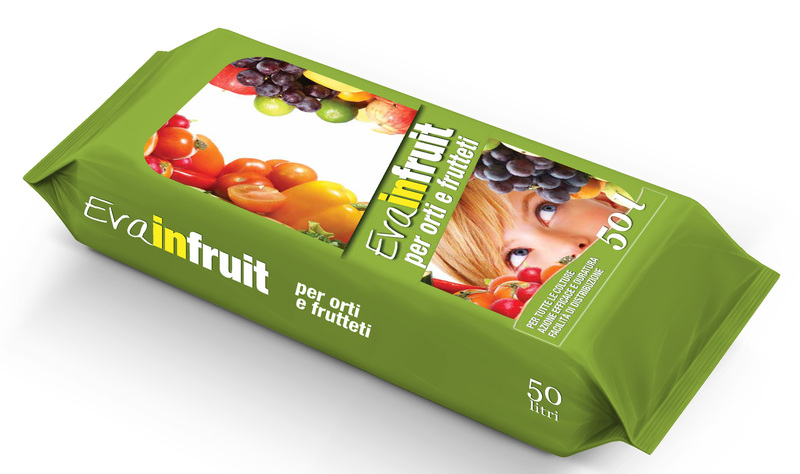 For these reasons, Evainfruit-BIO plays an important role in the fight against desertification and soil erosion, because it improves the structural state of the soil, it reduces the greenhouse effect by storing carbon in the soil and consequently subtracting CO2 to the atmosphere, and it allows energy and water saving. Finally, it contrasts water pollution and facilitates environmental remediation, namely bioremediation, through biological processes set by microorganisms present in the soil improver. These microorganisms degrade and alter the contaminated agents, transforming them into less toxic compounds, therefore reducing the risk of phytotoxicity. Due to its characteristics, this soil improver can be used in horticulture, fruit farming and viticulture, in open field herbaceous crops and in the garden-nursery industry (gardening, crops in pots, etc.). It is not recommended to use it alone, since it is rich in nutrients. It is preferable to mix it with proper amounts of soil or peat.